NOVOVOLYNSK, Ukraine (Reuters) - Ukrainian police are investigating two companies and a factory over a coal deal which some anti-corruption campaigners say epitomises the difficulties of doing business in the east European country. The sums involved in the deal are small but the Anti-Corruption Action Centre, an independent watchdog, says it illustrates the lack of transparency in Ukrainian business, an issue in a presidential election on Sunday that has cost President Petro Poroshenko support. State-run coal company Volynvuhillia ordered the Novovolynska-9 mine it oversees in Novovolynsk, northwestern Ukraine, to sell coal to privately held Ukrainskiy Natsionalniy Product (UNP), company documents show. A contract was agreed in December 2017 and sales began two months later. 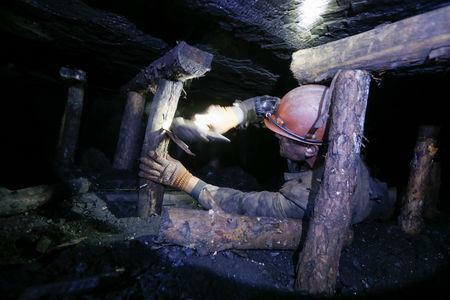 Volodymyr Yurkiv, the mine's director at the time, told Reuters he complained to the energy ministry about the contract because it allowed UNP to pay eight percent less for its coal than the minimum price set by the ministry for private buyers. He and trade unions also protested to the ministry when miners went unpaid as Volynvuhillia spent on other projects and went into the red. Police are now probing Volynvuhillia over the non-payment of 5.9 million hryvnias (£166,780) in salaries from July 15 to Sept. 5, 2018, suspecting unnamed UNP officials of lining their pockets while the miners struggled to make ends meet, according to court documents. Police declined to name the officials. 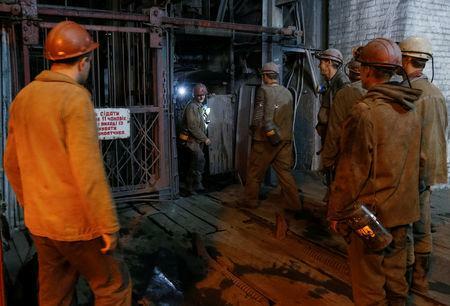 Energy ministry figures show wage arrears in state mines had reached 138.8 million hryvnias by Jan 1. Former Finance Minister Oleksandr Danylyuk told Reuters the arrears were largely caused by company officials spending money that should go to salaries on big purchases such as equipment because of the kickbacks that often go with such purchases. Asked about the sales contract with UNP, Andriy Pylypiuk, acting manager of Volynvuhillia, said the coal purchase price in the original contract was an error that was corrected after the deal and that UNP quickly started paying more for its coal. Company documents seen by Reuters confirmed the price increase. Pylypiuk said his company supported selling to UNP because no other firm wanted to buy coal from Novovolynska-9 and that UNP had offered to pay up front. He denied wrongdoing. Andriy Dombrov, who owns UNP, declined to answer Reuters' questions. Police provided no details of how the investigation is going. The energy ministry declined comment. A second police investigation is underway into an arrangement under which Volynvuhillia pays a local factory to enrich, or clean, the coal sold to UNP. Police are probing whether this arrangement, part of the sales contract between UNP and Volynvuhillia, is a criminal conspiracy. Mykhailo Bondar, head of a parliamentary subcommittee on the coal industry, says Lvivska Vugilna Compania (LVC) enrichment factory is being paid for a job it does not do because it lacks the technology needed. 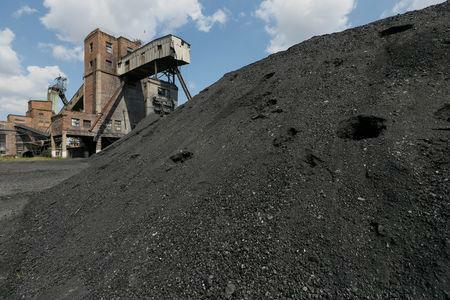 Yurkiv said the coal had previously gone directly to electricity generators without being enriched. Andriy Vengryn, who is a principal at LVC as well as a representative of UNP, denied any wrongdoing in the deal with Volynvuhillia. He confirmed LVC is doing the enriching and said the factory needs the extra coal to improve its financial well-being, telling Reuters: "I am in full compliance with the law." He added that under his management LVC had been rescued from the verge of bankruptcy. "There are a lot of unfair rumours about me," he said. When Energy Minister Ihor Nasalyk tried to step in last May, his order that the deal with UNP be cancelled was not acted on. Nasalyk did not respond when asked about his order not being carried out. A special energy ministry commission has twice recommended Pylypiuk's dismissal, in March last year and in May. But the energy ministry said Pylypiuk had provided written justifications for his and Volynvuhillia's actions and that it found no grounds to dismiss him. "The deal between UNP and Volynvuhillia epitomises many of the problems of doing business in Ukraine," Andriy Savin, a lawyer at the Anti-Corruption Action Centre in the Ukrainian capital Kiev, told Reuters. "Such deals show why foreign investors are so wary of investing in Ukraine." "This (situation around the sales deal between Volynvuhillia and UNP) ... is undermining Poroshenko's authority," said Mykhailo Volynets, leader of the Ukrainian miners' trade union. Looking ahead to this month's election, he said the situation helped explain why people "want changes, new faces in power," he said. Poroshenko's office did not immediately respond to a request for comment but the president has dismissed such criticism in the past. "We launched the first decisive battle against corruption in Ukraine -- we have created reliable independent anti-corruption bodies ... We have cleared the stable of corruption schemes in the energy sector and public procurement," he said in January.